The CSVT-212 is our premium sport series mesh vest (ANSI 07-2010). It features Breathable contrasting trim, 7 pockets including an iPad pocket, 2 mic tabs and a heavy duty zipper closure. 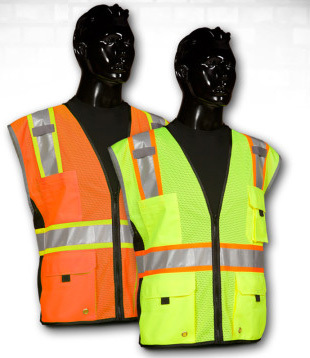 It is available in both orange and yellow with sizes from medium to 5xlarge.